For a creative person like Valcinei, a driven patient from our Amazon clinic, having two of his five senses impaired has been a life-long challenge. Being deaf along with having poor vision has held him back in different aspects of life, especially in his art. Valcinei loves to draw and has even been recognized in school for his skills. He is also one of five children in his family, making it harder for his parents to provide for each child. Valcinei had visited “Auto Clinic” where he was given hearing aids, although after the battery died, he was back to square one. While his family doesn’t know sign language, Valcinei is able to get by in his day to day life by creating their own made- up sign language with his mother. Despite the challenges that Valcinei faces every day, he has a very evident passion for drawing. His mom claims that even with struggling to see clearly, Valcinei spends his days sitting in his bed drawing. 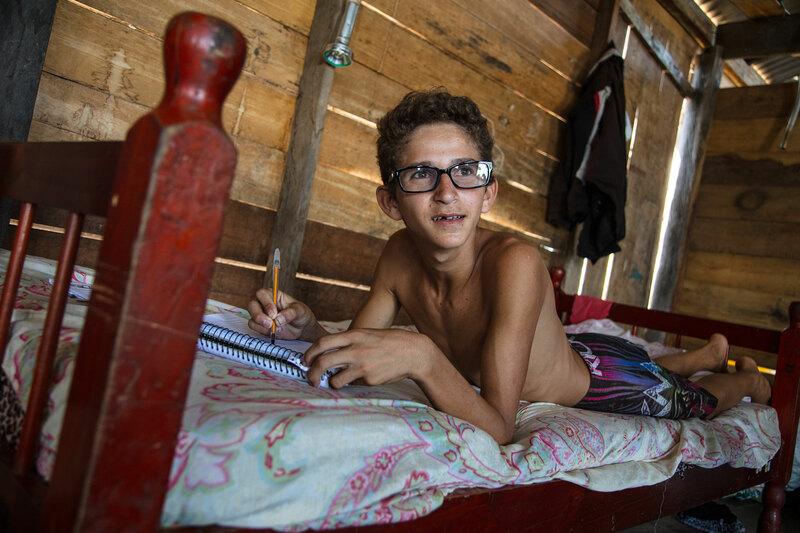 Valcinei also has difficulty in reading and writing for school, so coming to this clinic is a big step towards improving his academics in 6th grade. He is very intelligent despite being held back by poor vision and is also loved by his teachers for his work ethic. Valcinei is leaving this clinic with a pair of sunglasses and reading glasses that will help him both in school and in his drawing. His family is happy that Valcinei can finally continue to do what he’s passionate about and finally see his art and creativity to the fullest. Donate today to help those like Valcinei use their creativity to their full potential.